Inderpreet Banga is Senior Director of eDistribution Strategy at Wyndham Hotel Group (WHG), the world’s largest and most diverse hotel business, with a global portfolio of more than 8,400 hotels and over 700,000 rooms in 79 countries. Inder focuses on setting company strategy with regards to online travel agencies and metasearch across the globe. Since joining distribution in 2015, Inder has led Wyndham Hotel Group to sizeable positive gains in central contribution by over 55% and increase in average property content score by 100% from the prior year. In addition, Inder has reduced the average cost of distribution by over 15% for WHG hotels and continues to seek ways throughout the organization to reduce costs and optimize share for WHG hotels. Prior to distribution, Inder was in revenue management for 3 years impacting the lives of hotel owners, hotel employees and their guests. Inder excelled in both the franchisee and managed revenue management with initiatives surpassing double digit RevPAR growth and flowing more to the bottom line. His principal accomplishment with the managed portfolio was implementing a project with a cost of $300K which exceeded $4M in gross rooms’ revenue for the portfolio or an astounding 12x ROI and exceeding 100% RevPAR growth over 2 years. Inder has been a key speaker for Distribution sessions for 200+ attendees at the Wyndham Hotel Group global conferences in Las Vegas. He is a principal board member of the Hotel Electronic Distribution Network Association and an active member of AHLA’s Consumer Innovation Forum. Most recently, Inder was a finalist for HSMAI NY Chapter’s “Hospitality Professional of the Year” for 2017. 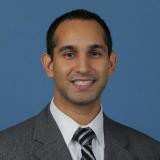 Inder holds an M.B.A. in Supply Chain Management and Marketing from the Rutgers Business School and a B.A. in Economics from Rutgers University. Check out the incredible speaker line-up to see who will be joining Inderpreet.